Snowbee Saltwater Fly Wallet - Large - offers the Pike / Saltwater fly fisherman huge storage capacity for large saltwater flies along with a flexible bag option. 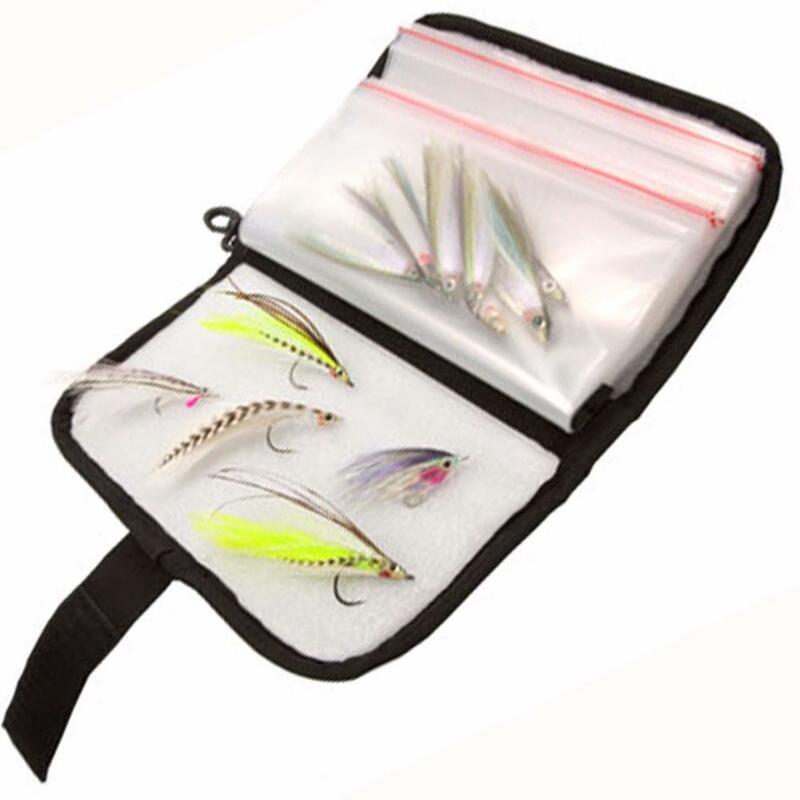 Each Snowbee Saltwater Fly Wallet holds 12 Self-seal bags, each capable of holding 10-20 large Pike / Saltwater flies (no flies included). That's over 200 flies, enough for an entire trip, in just one Fly Wallet! Imagine how many conventional fly boxes you would need for that! These sets of bags are removable, so you can keep spare sets, pre-filled with flies for different species. On the front of the wallet is a mesh pocket for tools, leaders etc. You will also appreciate the belt loop to carry your wallet on the waist, or a clip to attach to any convenient D-ring. Snowbee Saltwater Fly Wallet - Colour: Navy Blue / Black available in two sizes -Small 8" x 5" x 2" & Large 9½"x 6" x 2"
Snowbee Saltwater Fly Wallet, just one of a large range of Snowbee Fly Boxes & Wallets to choose from. 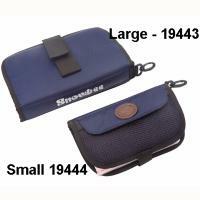 Now have both sizes well made wallet for storage. Grand wallet - holds the pike flies that wouldn't fit anywhere else. Supplied with 2 "packs" of 6 insert bags, but will hold a third if necessary. Not so good for poppers, spun deer hair & other "broad" flies. Good quality, just what I was looking for.